The Mickey Finn is an American long lasting and proven streamer pattern. It is a versatile pattern killing trout on both American rivers and UK still waters. It is also a good Salmon fly when tied larger. Wing : Two part yellow to one part red buck tail. The two bunches of yellow buck tail flank the red buck tail. 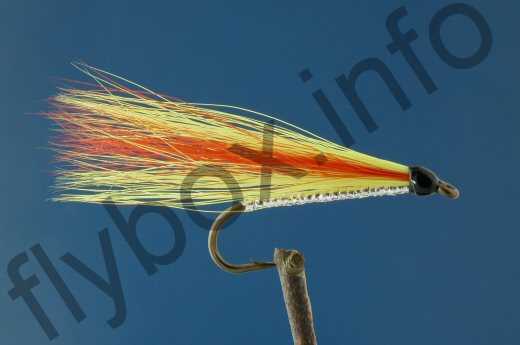 Currently there are no comments about the Mickey Finn fly pattern from other fly fishermen yet.